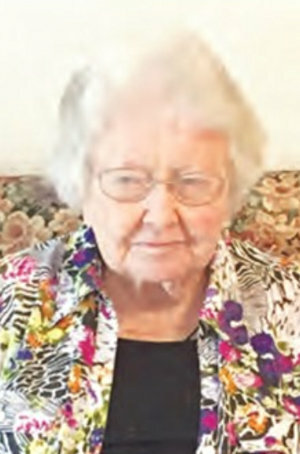 Obituary – Malget, Catherine Elizabeth (Melvin) « Perry High School Alumni Association, Inc.
– plans to attend the University Preparatory College at Tonkawa after graduation. She was interested in art in high school. She won second place in the Poppy Poster contest last year. In addition she received a perfect attendance record for the year of 1937-38. She collects pictures of movie stars. Catherine is the daughter of Mr. and Mrs. J. L. Melvin of 1002 Jackson street. She was born in Perry and attended St. Joseph’s academy, Hunter district school, Watkins district school and Perry schools. She was a member of the 4-H club, the Home Economics club and the Junior Chorus Club. Catherine E. (Melvin) Malget, went home Thursday, January 25, 2018, while at Perry Memorial Hospital. She was 96. The family would like to share memories with you on Sunday, January 28, 2018, from 5:00 p.m. to 7:00 p.m. at Trout Funeral Home of Perry. Visitation will be from 1:00 p.m. to 8:00 p.m. on Sunday as well. Please come and share some life memories that Catherine has given to you. A celebration of her life will be held at 10:00 a.m. on Monday, January 29, 2018, at the St. Rose of Lima Catholic Church with Father Carson Krittenbrink of Ponca City officiating. Burial will follow at the Mount Carmel Cemetery. Catherine was born in Perry, OK on November 29, 1921, to John and Catherine (Daylor) Melvin. She graduated from Perry High School and went to work at the Perry Daily Journal for over 40 years. She married Frank C. Malget on August 16, 1944, at the St. Rose of Lima Catholic Church. Catherine was a big OU football fan. She adored all animals especially her three cats and one dog and the family of turtles that she raised from babies. She loved to have a houseful of family and friends drop by her house and you would surely find her lounging in her recliner watching old television program reruns with a big yellow cat on her lap. Catherine always had a twinkle in her eye and a smile on her face. Catherine is survived by her three daughters: Marie and husband Johnny Robbins of Perry, Ann and her husband Mike Umstead of Perry, Betty and her husband Les Berger of Perry; two sons: Vernon Malget of Perry and Lee and his wife Vickie Malget of Perry; two sisters: Georgia Frazier and Christine Murray; sixteen grandchildren, forty great-grandchildren and eight great-great-grandchildren. 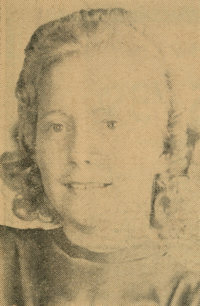 She is preceded in death by her husband; parents; two sisters: Mary Beatrice Melvin and Berniece Graham and a brother Louis Melvin; two granddaughters: Mary Kay and Linda Faye. Memorial contributions may be made to St. Jude’s Children Research Hospital in care of Trout Funeral Home of Perry, 1408 N. 7th Street, Perry, Ok. 73077.